April was a very important month for the ScienceAtHome project. Our research was about to be published in the scientific journal Nature and as project leader, Jacob Sherson, put it, this was sort of like winning the Champions League final. You can read more about implications of the Nature article here. We all waited impatiently for the day to come, however, little did we know, it was about to exceed all our expectations. Already after the first few days, we counted more than 100 articles worldwide talking about Machine vs. Human, gamification, citizen science and of course Quantum Moves! The Verge, Gizmodo, DailyMail, ArsTechnica – just to mention a few. 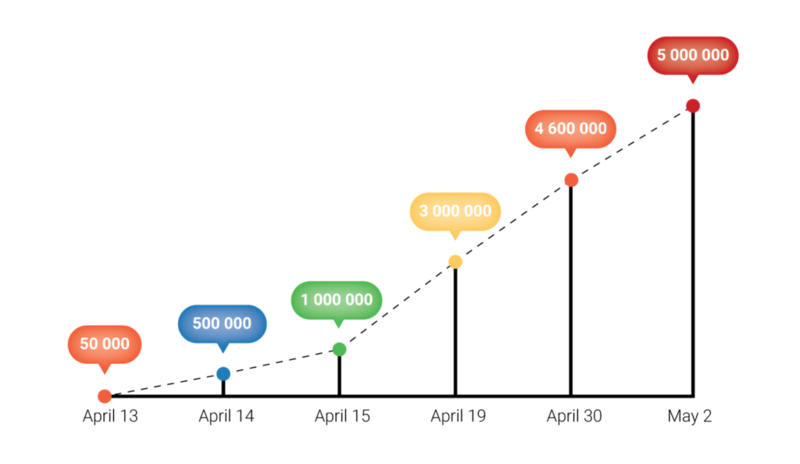 Media talked and people listened; our app was downloaded more than 67.4k times. 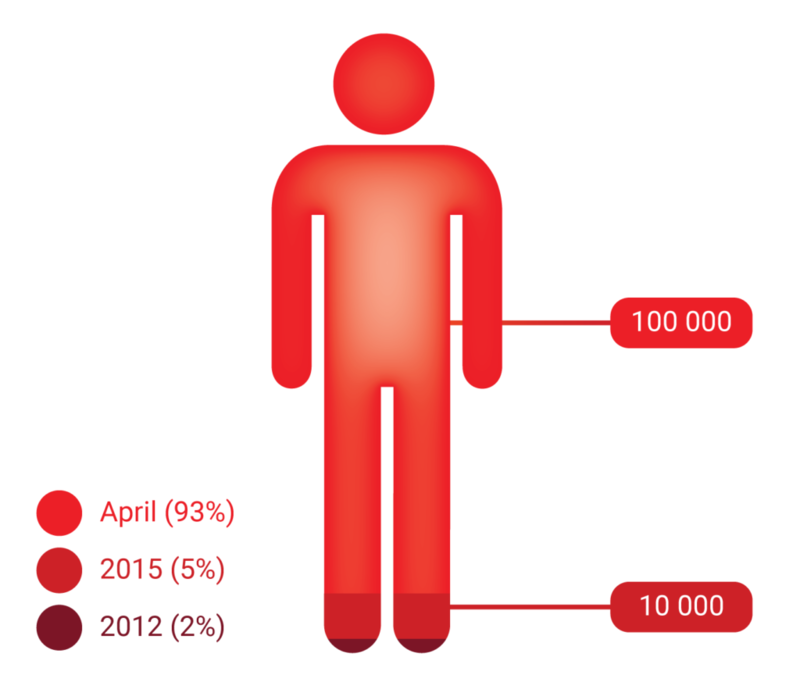 As a result, in April alone we welcomed 100k new players! Which is 10 times more than in the previous years combined! On average each user played 10 min per day. Our web developers slept with one eye open, constantly checking if the servers were doing fine. So did the rest of the team. Even after long hours at work we couldn’t stop checking the social media and Google analytics, all showing people joining from all over the world. In fact, if we were to colour the map of all our visitors, we would cover almost the whole globe! People were playing our games and sharing their high scores and strategies. 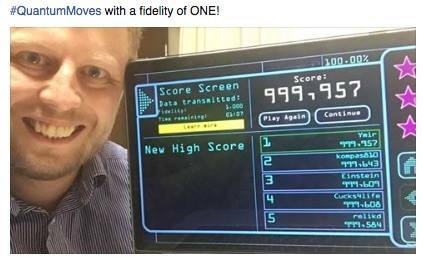 Quantum Moves player, Mark, sharing his fantastic score! We also knew that to comprehend our research methods all at once is a lot to take in, so we created a stop motion video to explain how your game plays convert into our research! 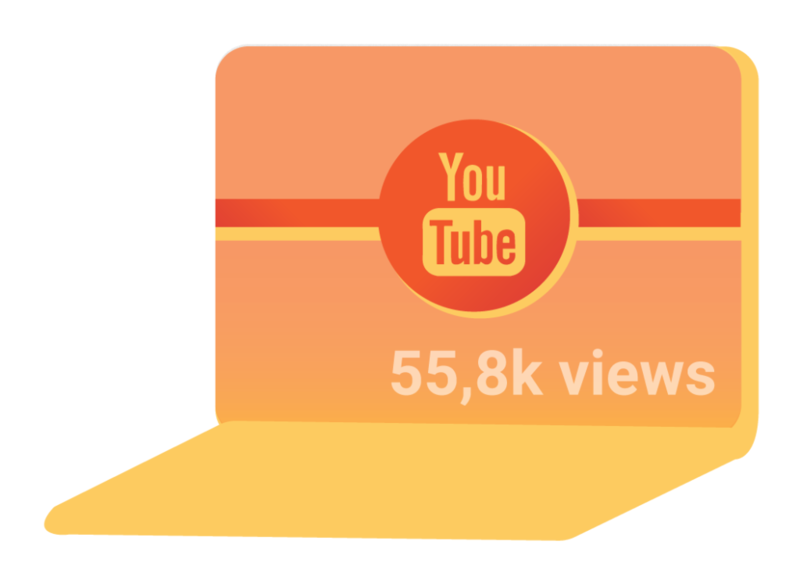 The video was a huge success – as of today, our YouTube channel has 55,8k views. Finally, if you follow us on social media (Facebook and Twitter), you can’t have missed what has happened regarding our community goal. This was a part where our players exceeded even the dreamiest best-case scenarios. Our initial goal was 50k gameplays and it was crushed the same day. Then we raised it to 10 times the original goal and in 24 hours it was crushed again! Long story short, within a few days we have gathered more data than in the previous project years combined! On May 2nd, you have played Quantum Moves 5M times, which is 100 times more than our initial goal! Original April challenge was 50k gameplays. Every single time you play our games matters a great deal! Every gameplay is a tiny step further in our research. We can’t thank you enough for this overwhelming support! April was unforgettable, but there are still a lot of scientific frontiers to be conquered! Download and play Quantum Moves. Hey Chuck, thank you for your comment. We really value the feedback of our players! Have you seen our leaderboard for the \”Bring Home Water\”? 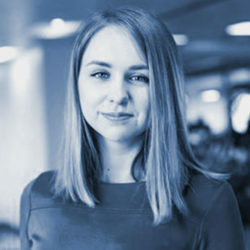 In case you missed it, here is the link: http://bit.ly/1Shqxqy (you have to scroll down a bit to find it). We agree that leaderboards are an important part of games and we are looking into ways how to improve that experience for our players. Our game developers would love to hear what you would like to see in our future leaderboards, so please feel free to contact us and share your thoughts. So just about any PvP game out there has a leaderboard. I would assume they are quite simple. Quantum moves is a simple game so I would not think it would be too terribly difficult to see current high score of the player on the title screen for each unit and a scrollable leaderboard that enables you to see who is on top and scroll through to look where you are in the grander scheme or where your friends or rivals are on the board for each game and as a whole. From my understanding of the game you want data points as close to perfect as possible. A leaderboard can help get your better players striving to unseat those above them. You\’ll gain a lot of points in the near perfect areas. If I\’m wrong and you are wanting data points all across the board a leaderboard would probably prove detrimental to your goal. Dear Chuck, all your points about leaderboards are very valid. Your comment truly captures why it is important to work on it. Thank you for bringing it to our attention and sharing your thoughts. Our team understands the high value of leaderboards and we hope that soon our gamers will be able to see them at every level. However, being a small team who works on a number of ScienceAtHome projects, we often have to prioritize. So, even the tasks which from a distance look very simple, sometimes takes longer. Thank you for playing our games and reading our blog! It\’s so difficult but fun and kinda mediative. Please log in if you wish to post a comment.